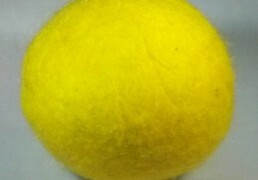 Did you know you can make our Sunny Lemon Yellow wool dryer balls smell just like a fresh lemon grove? All of our wool dryer balls can be customized with the scent of your choice for an organic, fresh aroma that lasts for weeks. Scent refills are also available at Shep’s so be sure to grab some!